Promote evidence-based practice, personal and professional development. 120 Credits of Level 1 Swansea University modules in your chosen subject. The following durations and start dates are available, depending on your IELTS Score. You can apply via our online form. 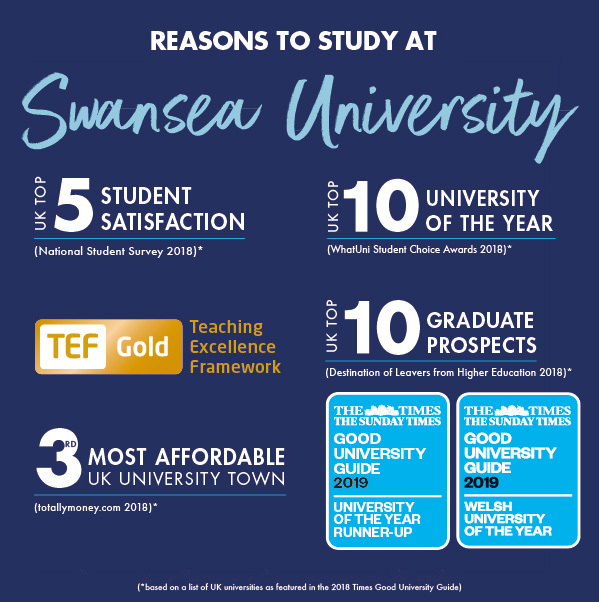 Alternatively, you can download the Application Form in PDF format, fill in and send to the-college-admissions@swansea.ac.uk with the necessary documents. Recommended textbooks for this course are available in the University libraries, but you may choose to purchase personal copies. All software needed for the course is available on the University network for use within University computer rooms. Free wireless internet access is available across the whole of the University campus, including halls of residence. Personal costs such as the purchase of stationery, photocopying costs, parking fees or travel between the campuses are not included in your tuition fees.